PM’s Special Assistant on Political Affairs Naeemul Haq on Thursday claimed that no member of the government’s economic team, including Finance Minister Asad Umar, would be replaced. 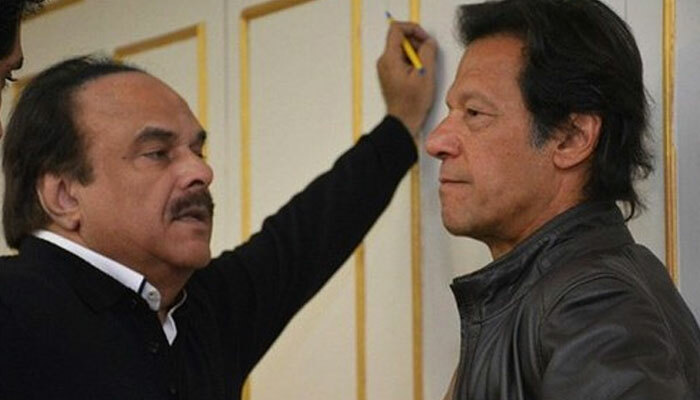 Rejecting reports that the prime minister was considering replacing his economic team, Haq quoted PM Imran as saying that “the economic hardships inherited [from the former government] will be eliminated by our team”. Haq said the prime minister was reviewing performance of his cabinet members, adding that reports of a reshuffle in the government’s economic team was a “conspiracy” hatched by the PTI’s political rivals. Earlier this week, the Ministry of Finance had refuted reports regarding Asad Umar stepping down from the post of finance minister. However, informed sources had told Pakistan Today on Wednesday that Prime Minister Imran is mulling a proposal to replace his entire economic team and send Asad Umar, State Bank of Pakistan (SBP) Governor Tariq Bajwa and Federal Bureau of Revenue (FBR) Chairman Dr Jahanzeb Khan packing. According to the sources, the premier has been “upset” with the handling of the Finance Ministry’s affairs and Asad Umar is likely to be replaced by Minister for Energy Omar Ayub Khan. “The replacement may be delayed for a week or two to help stabilise the stock exchange index, but it is inevitable. Not only is Asad going, but the entire financial team is,” the sources claimed, adding that the head of a state institution has also conveyed his concerns about the mishandling of the country’s financial affairs. “Asad will remain a member of the premier’s cabinet and might be handed the reins of the Energy or Planning & Development Ministry instead,” sources claimed. Speaking of the factors that led to Asad’s proposed removal, the sources claimed that other than the rupee devaluation fiasco, PTI’s senior leader Jehangir Khan Tareen had conveyed Imran Khan the grievances of the business community towards the finance minister. “Governor Sarwar, upon his return, conveyed the woes of the port city’s business community to Tareen, who informed the prime minister about the same,” sources said, adding that this too infuriated Khan, who directed Asad to immediately meet a delegation of Karachi’s businessmen. However, they added, that since the post of SBP governor is a constitutional one, Tariq Bajwa has “secretly” been asked to tender his resignation. “If Bajwa doesn’t follow the orders, the government would have no other choice but to seek his removal through the SBP Board,” sources further claimed. Dr Akhtar, has been attending the meetings of the Finance Ministry and the FBR in the recent days, to prepare herself for the new challenges, they added. “Prime Minister has also decided to remove FBR Chairman Dr Jahanzeb Khan. A former officer of Inland Revenue Services (IRS) Shahid Hussain Asad, who enjoys a good repute for his integrity and competence in tax-related issues, is likely to be appointed in his place,” the sources claimed.